After a car accident, you should call the police to send an officer to the scene. The officer will write up a traffic accident report, which the insurance companies will want to see to help them assess liability for the crash. These reports are usually available two to three weeks after the accident. But, how do you get a Philadelphia car accident report? Follow the steps below. You need all this information to request your Philadelphia accident report. Not any member of the public can request the report. Generally, only those involved in the accident and select others (such as lawyers) can request it. You will need to complete an affidavit affirming you are entitled to a copy. You can find the affidavit here. You will also need to prove you have a government-issued ID before you can request an accident report in Philadelphia. If you don’t have a government-issued ID, then you will need to fill out a different form. Philadelphia car accident reports cost money, so make sure to include payment with your request. You can make a personal check or money order payable to the City of Philadelphia. It costs $25 to get an accident report. You might also want to request photographs as well, which are sometimes available if there was a serious injury or fatality. You should include payment for them as well. They usually cost approximately $27, though each additional print costs only $9. Philadelphia police accident reports are maintained by the Records Department. You can submit your request by mail. The address is on the form. If you want the traffic accident report and pictures mailed to you, include a self-addressed stamped envelope. Have you been injured in a car crash? Are medical bills arriving in your mailbox without any way for you to pay them? Contact PhillyLaw today. 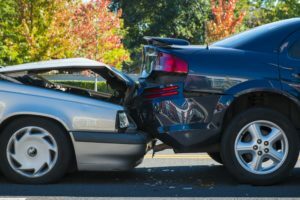 We are experienced car accident lawyers in Philadelphia, and we can help you get the full compensation you are entitled to recover as an innocent victim injured in a car accident. Please call 215-515-2050 or submit an online form to schedule a free consultation.